CARPENTERVILLE, IL. 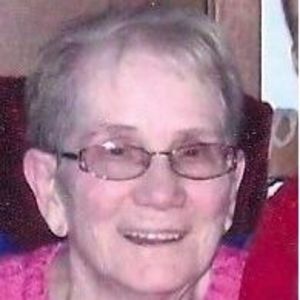 – Margie Nell Hunt Vance, 84, died Thursday, July 5, 2012 at the Bickford Assisted Living in Crystal Lake, IL. She was born on September 28, 1927 in Muhlenberg County, KY and was retired as a finisher at Haegar Pottery. She is preceded in death by her husband, Damon Vance, two sons, David Vance & Roger Vance, her parents, Clarence & Callie Hunt, two sisters, Alice Lacefield & Billie Lacefield, three brothers, Buddy Hunt, Bobby Hunt & Jimmie Hunt. Survivors include her son, John(Ruby)Vance, three daughters, Carol(Dan)Chapman, Judy(Rich)Filip & Robin(Mark) Kolmodin, twelve grandchildren, seventeen great grandchildren & twelve great great grandchildren. 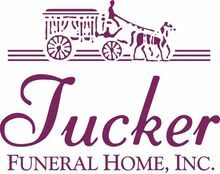 Funeral services will be held at 11:00 AM on Monday, July 9, 2012 at Tucker Funeral Home in Central City conducted by Rev. Leroy Rearden with burial to follow in the Ebenezer Cemetery in Drakesboro. Visitation will be after 5:00 PM on Sunday and after 8:00 AM on Monday at the funeral home. The beautiful and interactive Eternal Tribute tells Margie 's life story the way it deserves to be told in words, pictures and video. mailed to her home address not realizing she had moved out. family. Our thoughst and prayers are with the family members. We are deeply saddened by the loss of our Aunt Margie. Our thoughts and prayers are with all of you at this time. Thoughts and prayers with family and friends during this difficult time.